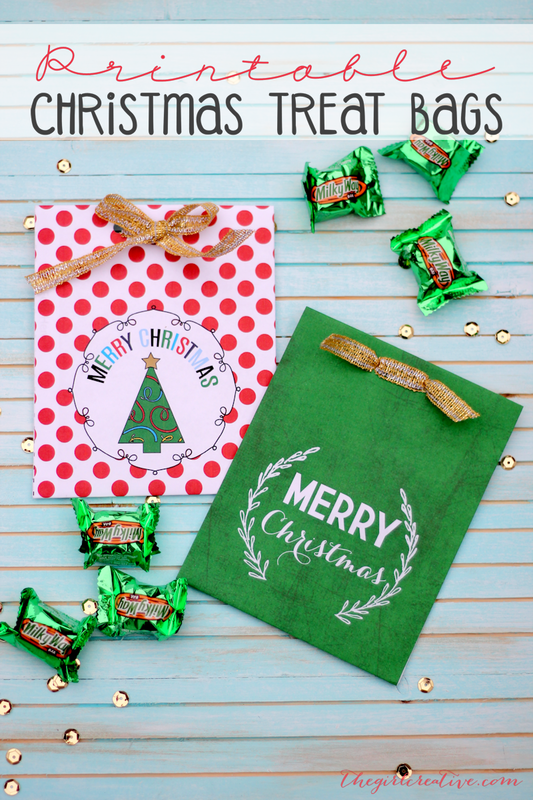 Printable Christmas Treat Bags are perfect for last minute gift giving. Fill them up with candy, cookies, gift cards and more! 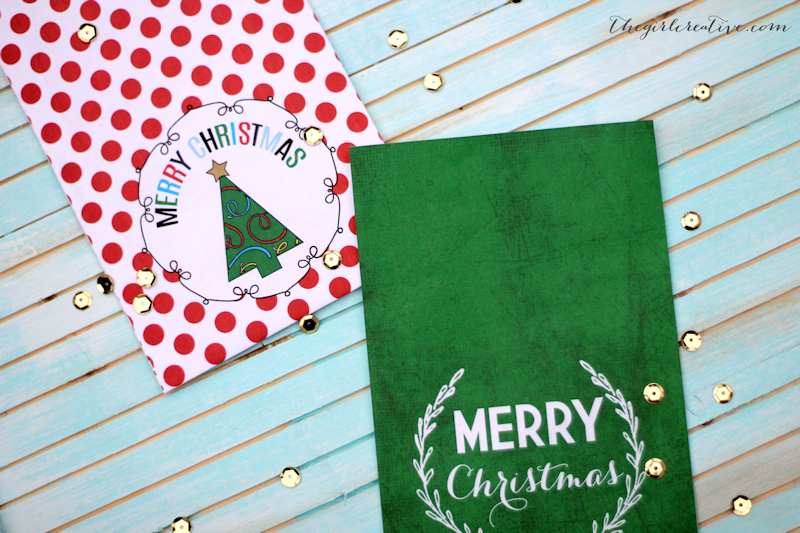 I am a sucker for those little paper treat sacks that you can find in craft stores and online. You know the ones – they are small and flat and come in polka dots, stripes and other fun patterns. I always grab a package or 2 in my travels so that I always have them on hand. You don’t even need to wait for a special occasion to use them. I brought my friend a few chocolate treats in one just because and it just added a little something extra to the gesture. I’m fortunate enough to live close to the mall and all of my favorite craft stores but I realize that’s not the case for everyone. And I totally get that sometimes we need something last minute. 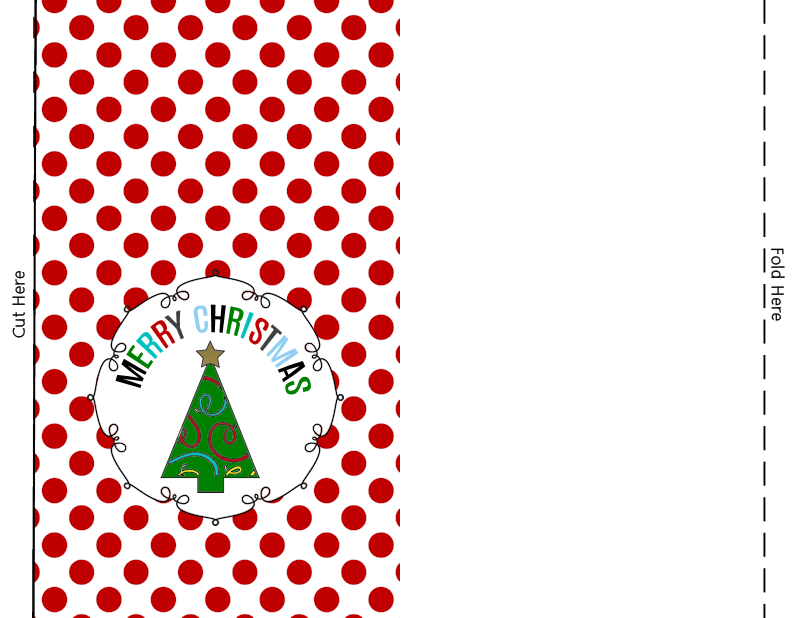 Well, these printable Christmas treat bags are perfect for those last minute gifts. 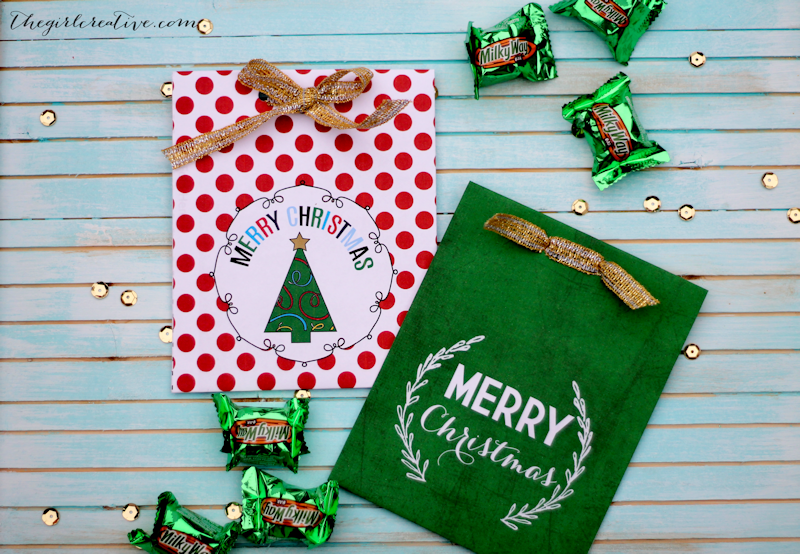 These Christmas treat bags are really easy to make. 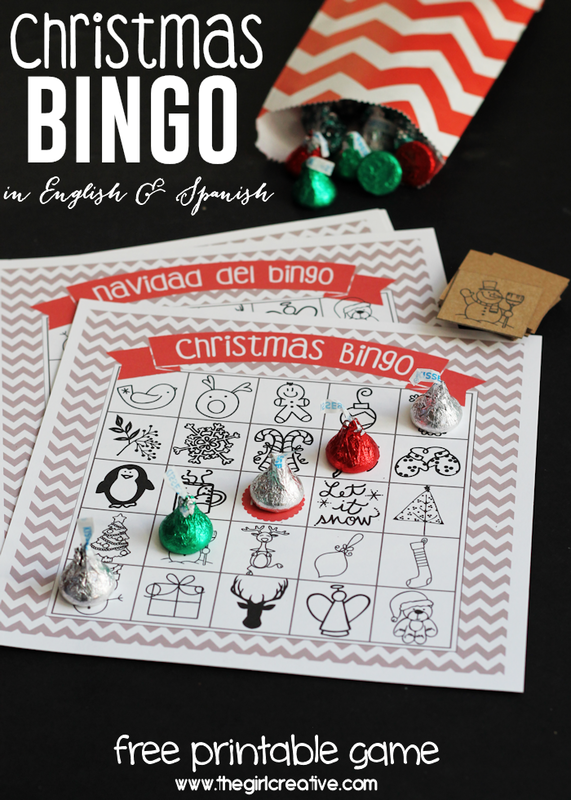 All you need is your printer, copy paper, double-sided adhesive, ribbon and of course treats. You only have to make one cut and the rest of the bag assembly is a piece of cake. Check out the templates! The download includes detailed instructions in case you need them. The bags are big enough to fit some holiday chocolates and maybe even a big cookie or 2. Pretty much anything you would need a treat bag for, you can use this bag instead. The treat bags are even big enough to put a CD or DVD in them too. If you’re the type who loves to make mixed “tapes” for friends, you could use this bag for your gift wrap. I would suggest wrapping your CD in some tissue paper and then slipping it right into the bag. I always tie mine up with ribbon but you can use a sticker to secure the bag in the back if you want. Lots of fun options for these cute little bags. 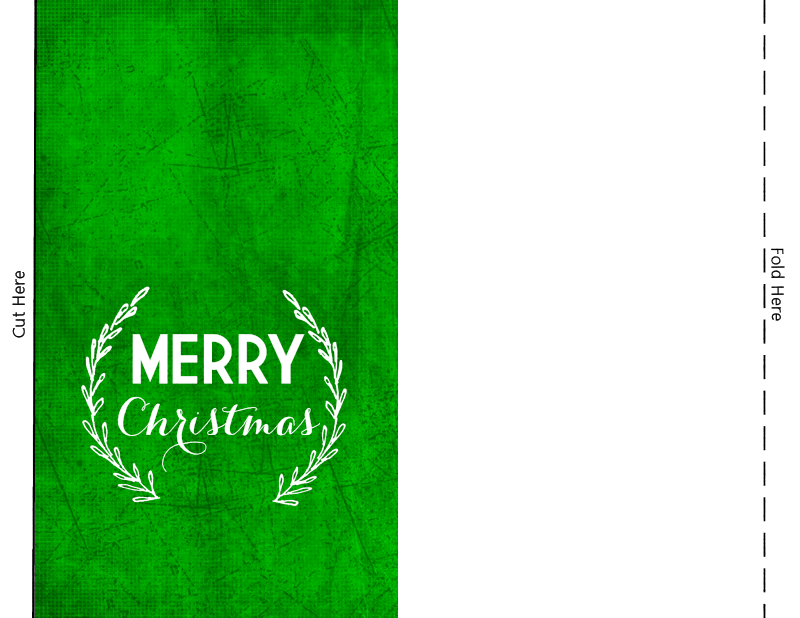 Check out theses Christmas Posts!